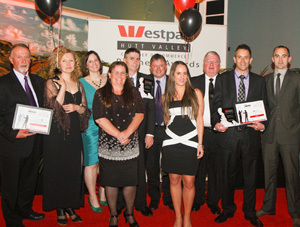 Precision is delighted to be the recipient of two notable awards at the Hutt Valley Chamber of Commerce Business Awards held on the 16th of November 2011. This is the third year that Precision has been involved in these awards, this year being nominated for two categories - Manufacturer of the year, and Sustainability award for the year. and the Westpac sponsored Sustainable Award.